I consider myself a bit of an authority on the subject of food photography lighting, but I also realize that I’m not the only one that understands the subject. My type of lighting may seem a bit unusual to most people and may not be right for everyone, so I figured that what I would do is put together a resource of articles and information from all over the web. I’ll go edit through all the junk out there and see if I can come up with some great places to go in order to learn more about food photography Lighting. I need your help though! 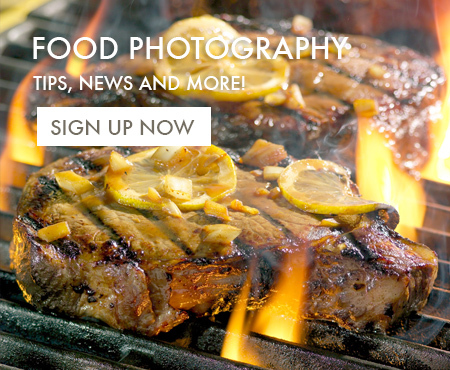 The goal is to put together THE ULTIMATE resource of food photography lighting materials, and I need YOUR help. This will be an ongoing project and I will research and curate information related to everything about the subject that I can think of, but I could use some help here. Many of the viewers of this blog have been studying the subject for years now and probably already have lists, items, and web pages that would be valuable additions to this resource. Please help me help every reader here and share the resources that you’ve gathered. I’ll be glad to share the credit with you by adding you to the name of contributors. Like I said, this is just the beginning of an ongoing project and to get the most out of it, you’ll have to return and see how this page grows over time. So bookmark this and maybe in the future, as it grows, you can share it with your friends and fellow food photography enthusiasts.